Susan Windsor was looking for a judge. Not a missing magistrate, but a volunteer willing to sample the entrees in the National Outdoor Show’s cooking contest. She needed three tasters. I was to become one of them. ¶ The Outdoor Show is southern Dorchester County’s annual mid-winter block party, Olympics, and trade fair, and this neighborhood has a way of quickly assimilating visiting greenhorns like me. Scarcely 30 minutes after one of the show’s shuttle buses dropped us at South Dorchester K-8 School, Windsor had sweet-talked me into judging a competition whose essential ingredient I’d never before eaten. Her persuasiveness was even more impressive considering she’d never tasted muskrat either. “I’m not about to. I don’t eat it,” explained the friendly, busy lady who has organized the show’s legendary muskrat-cooking contest for the past six years. Muskrat consumption is not for the digestively hesitant. If you hail from this marshy, timelessly serene corner of the county, you embrace your culinary birthright with gusto—or not. Personal judgments seem admirably absent here. But visitors learn that regardless of one’s inclination to devour them, the cult of muskrats—those buck-toothed, oddly adorable, breeds-like-a-bunny denizens of the marshes—still holds powerful sway. Every winter since 1938, minus a World War II hiatus, Dorchester Countians have made the aquatic critter with the silken belly fur the centerpiece of the Outdoor Show, a celebration of sporting and cultural life that begins with a young ladies’ beauty pageant and culminates on the same twinkly lit stage with the self-proclaimed World Championship Muskrat Skinning contest. Golden Hill is a splotch of a place on the fringe of Blackwater National Wildlife Refuge about 15 miles southwest of Cambridge. For one Friday night and a Saturday in late February, when ice stills the tidal marshes and trapping season winds down, thousands of local residents and curious visitors converge on Golden Hill’s Eisenhower-era former high school for a celebration of muskrats, other native wildlife and “Dorchester County trappers, watermen and sportsmen,” a fair share of whom happen to be women. Contestants vie for trophies and bragging rights in skills that haven’t lost Eastern Shore practicality: goose-, duck-, and turkey-calling; oyster-shucking, trotline-baiting, trap-setting and log-sawing. But the gold standard for Outdoor Show braggadocio goes to those who can trim the hide off a deceased muskrat faster and cleaner (no left-behind belly fur, no cut-off noses, no knife-nicked pelts) than their competitors, who, in the men’s and women’s divisions, are so numerous it takes two evenings to determine the champions. Saturday night’s finals pack the school gymnasium where proof of admission (your muskrat image-stamped hand) is required to cheer on the Abbotts, Flowerses, Foxwells and other Outdoor Show superstars. Contest organizer Windsor corralled two other genetically impartial judges: another Marty, a professional chainsaw sculptor and former culinary student from suburban Philadelphia, and Mike, a local electrical contractor and outdoorsman who—unlike us Martys—had actually eaten muskrat. With hours to go before being sequestered with our taste buds and tally sheets, I headed to the cafeteria to sample the meat awaiting us. I took the long route, down hallways and into classrooms where vendors sold bas-relief crab plaques made with beer bottle caps, photographs and greeting cards depicting Chesapeake scenery, workboat models twice the size of a laptop with to-scale crab pots, collectible wooden turkey calls, custom leather work, sea glass jewelry, sailboats made with driftwood and, naturally, muskrat-themed items—cutting boards, T-shirts, silver necklaces. One couple peddled skeletal art that they fashion from road kill, including brightly painted and elaborately bejeweled deer skulls perfect for Día de Muertos celebrations. In the cafeteria, volunteers, flush-faced from working over steam tables, dished out crab cakes, soft crab sandwiches, oyster fritters, oyster stew, crab soup, and muskrat meat ($1 for a leg sample in a cup, $5 for the leg-rib combo plate), all prepared with ingredients locally—but unpretentiously—sourced. I ordered a soft crab sandwich (two crisp little fellas smashed between white bread slices), French fries, and a muskrat cup. My strategy: Eat the sandwich and then the muskrat, saving the fries for purging my palate or dislodging one of the muskrat’s infamously tiny bones. A lady next to me in line eyed my cup of muskrat suspiciously. “That doesn’t look too good,” she observed—sympathetically, I thought. She told me she’d tried muskrat once. “I didn’t like it very much. I’m not going to try it again.” Her tone made clear I mustn’t be swayed by her critique. At a nearby table, I met Mike Sears and his friend Kim Farrall from Kent Island. Sears was eating muskrat ribs, which did contain small bones, although not trout-like in number, as I’d read. Sears told me he cooks muskrat but doesn’t trap them, buying his frozen from a local market. Farrall said she’s tasted “rat”, as they’re called, but he isn’t a devoted consumer. Others apparently are. The cafeteria serves muskrat for a limited time only on Saturday afternoon, and the supply invariably runs out before demand does. Once a staple of weekend church and firehouse suppers, muskrat dinners are still served on the Eastern Shore and “marsh rabbit” (muskrat’s more palatable nickname) periodically appears on the menu of country restaurants. Over in the gym, Marcus Flowers was about to show a couple dozen spectators and the newly crowned Miss Outdoors, Jordan LeCompte, how to skin a muskrat. Kneeling on the catwalk where pageant finalists sashayed last night, he had with him a knife, a sheet of cardboard (the traditional skinning platform), several limp ex-muskrats, and a roll of paper towels. Skinners supply their own rats, which must be killed at least two hours before the contest, according to the rules, and then locked away until needed. (A freshly caught muskrat skins more easily, so time limits ensure a level skinning field.) Timed with stopwatches, competitors skin five muskrats each in the finals. He or she who produces “clean”—i.e. sellable—pelts the fastest wins. The intricacies of separating a muskrat from its outer layer can be graphic, but, essentially, the technique goes like this: Begin with a sharp knife (Flowers’s had a narrow, pointy blade about four inches long); make a few strategic cuts, beginning at the rump; tug the hide vigorously while rolling it toward the final separation point, the head; and, with a final cut, you’ve produced what resembles a wet, streaky-pink sock—the muskrat’s inside-out pelt. Ideally, you’ve skinned the rat without slicing or tearing its hide, or removing body parts you’re not supposed to. “If you rip that nose off, you’re done,” Flowers said. Onlookers aimed their smart phone cameras at him between the large, festive bows that festooned the catwalk. Seated next to him as he skinned, wearing her glittering tiara, fur-trimmed Miss Outdoors sash, a T-shirt, blue jeans and beige flats, LeCompte watched without a hint of squeamishness (more than I could say). Per Outdoor Show tradition, she will engage another beauty queen in a ceremonial skin-off tonight, so she needs to learn her pelt-removing chops. Flowers, his hands blood-streaked, made quick work of another muskrat body, and then another: “You wouldn’t believe how much it wears you out skinning five rats.” Fortunately, the queens will skin just one apiece. The 2003 men’s champion, Flowers learned skinning from his now 90-year-old mother, the renowned “Miss Nellie” Flowers of muskrat-cooking prominence. “She’d still go out trapping with us if we’d let her,” he told me later. “She showed me how to skin the old way,” he told the gym’s rat-watchers, by which he meant before legendary skinner Elihu Abbott invented the “two-cut” method favored today. Competitive skinning BE (Before Elihu) required multiple lacerations per rat and three to four minutes to skin five. The Roger Bannister of skinners, Elihu achieved the record-smashing “five-muskrat minute” and won his first championship in 1953, taking seven more titles over the next decade. AE, skinners used Elihu’s method and the speediest average an impressive 20 seconds per muskrat. In addition to providing lean protein for the dinner table, muskrats once earned trappers a healthy winter income, but pelt and meat prices have fallen sharply. Today, tramping Dorchester’s muddy marshes to check traps is as much ritualistic as remunerative. “It’s just something that gets in your blood,” Flowers said. He’s collected nearly 700 vintage muskrat traps, including one he bought for $850 at an auction because it once belonged to his grandfather. The Outdoor Show traces its origins to 1936, when several trappers got to boasting about their skinning prowess at the farmers’ and watermen’s winter picnic. A challenge ensued, and two years later, it spawned the first Outdoor Show, held at the State Theater in Cambridge. History records that George North of Griffith’s Neck won the show’s inaugural skinning championship. The “national” part was added in the 1950s, when Dorchester’s Republican Congressman challenged a Democratic colleague from Cameron Parish in southwest Louisiana to see whose marshes produced the top muskrat skinner. To be clear, the politicians weren’t offering to get their own hands bloody. Among the men, Cajuns have won five championships, and a Pennsylvanian reigned once. Otherwise, it’s pretty much been Abbotts—Dorchester’s rat-skinning dynasty—overthrown periodically by an Insley or a Robbins. To this day, Cameron Parish representatives are honored Outdoor Show guests, a hospitality they return by welcoming a Dorchester delegation to Cameron’s Fur and Wildlife Festival every January. The first women’s muskrat-skinning competition was held in 1940, won by one Willie Wallace Keene. More recently, top skinners have included seven-time winner Helen Foxwell (Elihu Abbott’s niece) and five-time champions Bonnie Abbott, Cindy Paul and Rhonda (Top Chef) Aaron, Marcus’s sister. The ladies are so skilled that some have floated the notion the championship ought to be co-ed. While skinning is taken seriously (deadly so for the muskrats), the Outdoor Show mostly means burning off cabin fever and celebrating what one Eastern Shore clothing company has successfully branded “Brackish Life.” Everywhere I roamed, it seemed, teen fashion favored camo wear and “Brackish” apparel. The show offers much pageantry, but not what you’d call pomp. Dorchester doesn’t do la-di-da. The Miss Outdoors Pageant, introduced in 1954, measures the talents, congeniality, glamour and self-assuredness of high school teens, without parading them in swimsuits. On the other hand, the “womanless” Miss Nature Girl Pageant, a companion fundraiser inaugurated in 2018, showcased (how to put this?) less-flatteringly curvaceous guys, who voluntarily cross-dressed in swimwear and evening gowns. The show flouts gender boundaries in other ways. In 2004, Miss Outdoors contestant Tiffany Brittingham became the first to skin a muskrat as her talent. Featured in Amy Nicholson’s 2005 documentary, Muskrat Lovely, Brittingham’s performance was a hit, especially among the audience’s young males. The cooking contest carries its own glory. We judged entries in two preparation categories: traditional (Miss Nellie’s forte) and specialty (daughter Rhonda’s), a catch-all that has produced in recent years muskrat chili, curry, empanadas, enchiladas, pizza, pot pie and a city journalist’s concoction called “Bacon Rat,” a rodent-shaped mound of muskrat-and-bacon sausage covered in bacon strips. Artfully placed in a “swamp” of bourbon-infused sauce, it took third prize that year. In addition to taste and creativity, we were instructed to assess each anonymously submitted entry’s presentation and recipe clarity. The rich Three-Bean Sweet Bourbon Muskrat Chili lost points for failing to note quantities and preparation instructions. The Spanish-style Son of a Gun Muskrat Stew tickled my fancy with its garnishes (one jumbo jalapeno, one toy muskrat). The taste and textures of the gingery Asian Muskrat with Snow Peas wowed us all, while the traditional category was a highly nuanced call between both entries in which I was the minority vote. As Windsor tallied the scores, a small crowd gathered to hear the results and to polish off dishes we judges merely nibbled. In some good-natured culinary hazing, the county sheriff’s office dispatched one of its young officers to get his first taste of muskrat. Windsor announced the winners: Rhonda Aaron swept the top three specialty cooking awards, while Cindy Cook edged out Nellie Flowers in the traditional category. When it comes to muskrats, Louisiana’s Cameron Parish is Dorchester’s sister skinning capital. Its Fur and Wildlife Festival celebrates familiar traditions: crabbing, oystering, fishing, hunting and skinning. Per custom, Cameron’s top skinners are invited to compete in the National Outdoor Show’s World Championship. Their muskrats often accompany them. Jay Miller won the men’s world championship four times in the 1970s, more than any other Louisianan before or since. He and Dorchester’s Wylie Abbott Sr. battled for skinning supremacy in those days, when muskrats were plentiful in the bayous and Miller trapped as many as 500 a day, selling their meat and fur. He preferred the tender-skinned females in competition. Many joined him, alive in cages, on his flights to Maryland. “I used to bring thirty or forty of them,” he said by phone from his home in Lake Charles. It was a matter of pelt quality control. “If I used [Maryland muskrats] I didn’t know what I was getting.” To be most supple, muskrats must meet their maker as near to competition time as possible. They couldn’t bring their bayous, so the Cajuns used the best pre-competition habitat at hand—their hotel bathtubs. The housekeeping staff was none too excited about finding them swimming around in the tub. His secret? “Wylie was right,” he said of old rival and friend, the late Wylie Abbott Sr. “Tonging for oysters. It gives you the hand strength to finish that last rat.” —M.L. Foxwell introduced pageant royalty: LeCompte, wearing a floor-length, royal-blue gown, escorted by her court, and Miss Cameron Parish, Maeleigh Conner, in an aubergine-colored evening gown and what seemed like a foot-high tiara, accompanied by her cousins, best friend, mother and grandmother, plus an official photographer. They strolled the catwalk. The lights dimmed. Then a melee ensued, otherwise known as The Bead Toss. “You don’t want to be near the stage,” Foxwell warned me. I didn’t listen. Shiny, sometimes chunky, strands of Mardi Gras beads, tossed by the royals, arced over—and occasionally bounced off—my head as spectators lunged for them. The bauble scrum continued until the flingers were finally beadless, which took a while. Next came the auction, a spirited affair led by Foxwell, an auctioneer by trade. Antique eel pots, a sterling Annie Oakley rifle necklace, a six-pack charter fishing trip and a pig roast for 50 all elicited three-digit bids, followed by higher offers for chainsaw sculptures by cooking judge Marty Long. (Hand-trucked to the stage, his scary-big muskrat sold for $1,000.) In a rousing bidding war, Foxwell coaxed the price for the coveted Outdoor Show teddy bear—hand-made of muskrat pelts from the previous year’s skinning contest—to a record-smashing $2,400. With apologies to the Canadian Arctic’s Muskrat Jamboree, nobody seems poised to challenge the Outdoor Show’s grand claim to muskrat skinning’s global championship. Eating these creatures may seem brave, but it doesn’t compare to watching them speed-flayed, which is a tooth-and-claw sport. There was definitely blood (most of it muskrat) and raw carcasses and a funky odor—somewhere between marsh muck and startled skunk—that gradually permeated the gym. There was obvious prowess, too, displayed for an all-ages audience who cheered family and friends. “C’mon, Elihu, pull that rat!” they exhorted a youngster in glasses. “Keep it [the pelt] clean, Maddie!” they urged a junior women’s contestant. Dakota Flowers bested four other Abbott extended-family members—most wearing “Abbott Strong” T-shirts—to take the women’s championship, skinning five rats in just over two minutes. Her time topped the eventual men’s champion, T.J. Abbott, by seven seconds. Marcus Flowers finished fourth. Sometime after midnight, the skinners received their gleaming trophies. As long as Ondatra zibethicus roams the marshes, South Dorchesterans will use muskrats to take each other’s measure—although perhaps not on every stage. 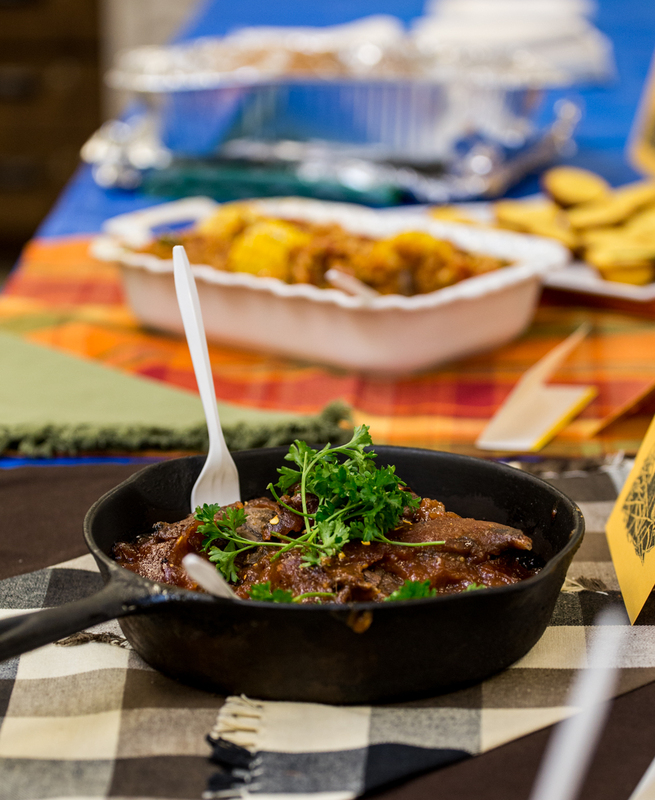 Next year, a world champion muskrat skinner will be named, but a sign near the cooking judges’ enclosure read: “NEW in 2019: VENISON Cooking Contest (Muskrat Will Return in a Few Years. )” I suspect Miss Nellie and Rhonda will still hold their own. Maryland native and award-winning contributor Marty LeGrand writes about nature, the environment and Chesapeake history.